Purpose & Vision - bvboys's JimdoPage! We believe that God wants to raise up boys to be loving husbands and fathers, respected leaders, and godly men. Men who can break cycles of sin and lostness related to poverty, geography, and empty religion. Men who can realize their value and strength through the power of a relationship with Jesus Christ. Our purpose is to mold boys into young men that will lead their future families, and entire communities, in a new direction – towards following Jesus, loving and providing for their families, and serving one another. Our mission is long-term. When a BVSA Academy gets planted into a new area, our mission is to be a long-standing light on a hill in that place. A place that will forever be known in the community as an instrument of love and hope. With each BVSA ministry, the idea is to dig permanent roots, so that many generations to come may reap the eternal benefit. 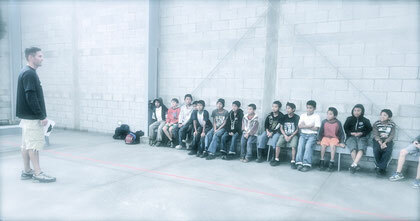 The BVSA vision started after living and working in a small village in Guatemala for a few years. Over time, the trend among men in the community became obvious. Almost without exception, we found the men to be violently abusive, alcoholic, absent, or a combination of the three. In general, the women were considered their property, and their kids are often wandering the streets all day, if not working the equivalent of a full time job. As a result, the girls were growing into women who accepted abuse, abandonment, and unfaithfulness as “normal.” And the boys… they grew up to be exactly like their dads. It was a cycle that has repeated itself for generations. The primary goal of the ministry is to help lead boys growing up in these tough environments to see that there is another way. God revealed a strategy to use highly competitive sports programs and intense training as the primary means to this end. However, while sports programs and other areas of emphasis are used to engage and provide opportunities, we believe it to be critically important to give the boys a daily example. An example of men who are following Jesus, who love and respect their wives and children, and who display integrity, discipline, and values. Our vision is based on the concept that boys learn how to be men by example. The end-goal rests on the hope that these boys grow up seeing examples of godly men, husbands, and fathers that they will seek to one day become. While providing intensive sports training, educational training, life training, vocational training, our deeper aim is to be deeply involved in the daily lives of the boys. Behind the tough attitudes and thick skin of a street kid, there is often much brokenness. Their lives are not easy. In the midst of all the programs and hard work within the BVSA daily schedule, our greater task is to shape these young men into new creatures - lovers of Jesus and of people - and lead them the Hope that will never let them down. When you look past the "methods" of all that we do at BVSA, we could simply be defined as a church. Most churches have specific cultural dynamics and social dynamics, and they adapt and adjust (as instructed by Paul in the new testament) in order to reach the community around them. 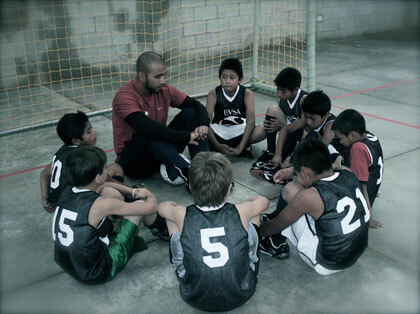 That is exactly what we aim to do through the Buena Vista Sports Academy for Boys.